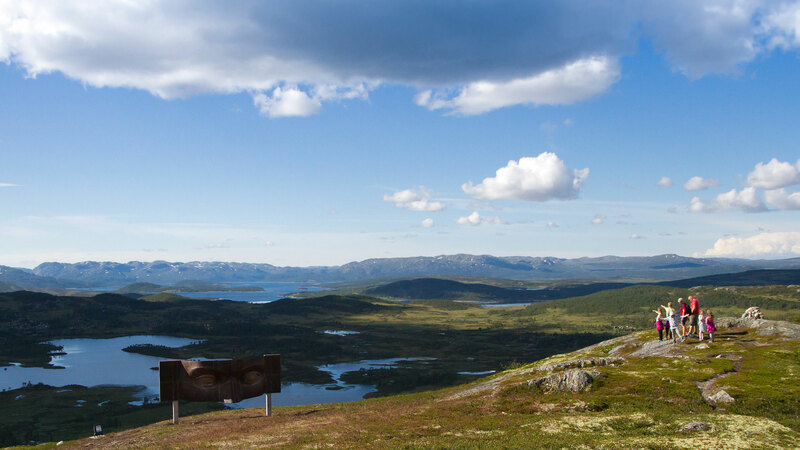 From the sculpture you have views of the seren lake Møsvatn and Hardangervidda. 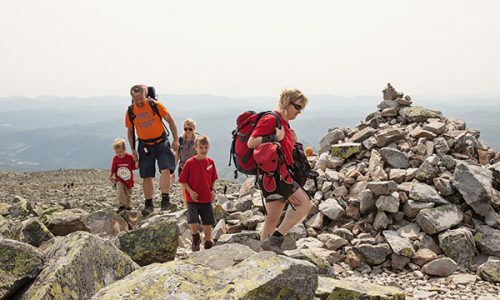 Hike in beautiful mountain range with 360-degree panoramic view towards Hardangervidda and Møsvatn. 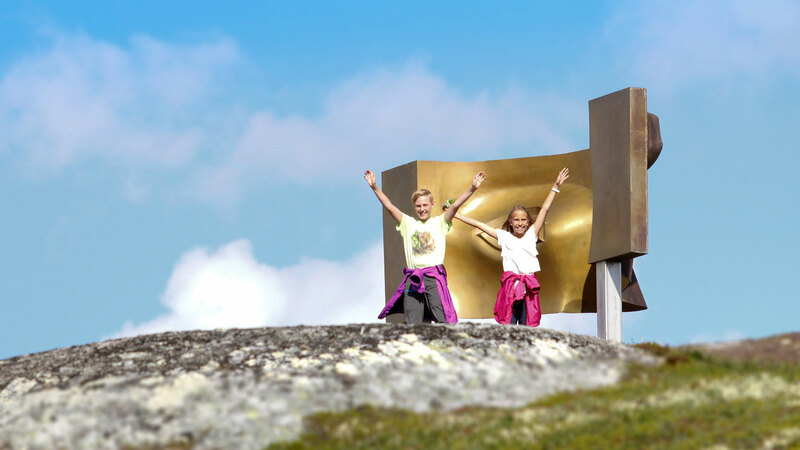 CREATED BY ARTIST Hilde Mæhlum, the Vision sculpture aims to amuse and bemuse locals and visitors alike. Look at the polished front of the sculpture, and you will see that the figure’s nose is in fact inverted. Since early childhood our brain has been teaching us that the human nose points forward with the eyes right behind it. But take a few steps back, relax and squint a little, and you will discover that your brain takes over and puts it right: the nose is pointing forward as it should, and your brain has created a sensible version of the sculpture – all inside your head! What’s even more strange: walk slowly past the sculpture while staring at it, and it will follow you with its eyes. If you stand to the east of it, the sculpture looks east. If you stand to the west, it looks west. It certainly lives up to its name. The trail starts at Vierli Kafeteria by the subway under the main road. 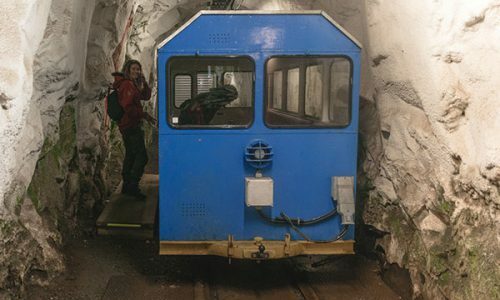 Follow the marked trail to the top of Mount Vierlinuten (1,100 m above sea level). The Vision sculpture stands on top of the mountain. 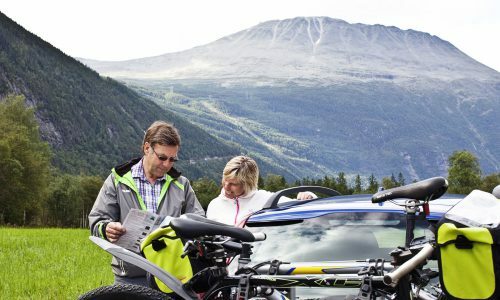 Take a break and enjoy the amazing views across the Hardangervidda Plateau and Raulandsfjell mountains. 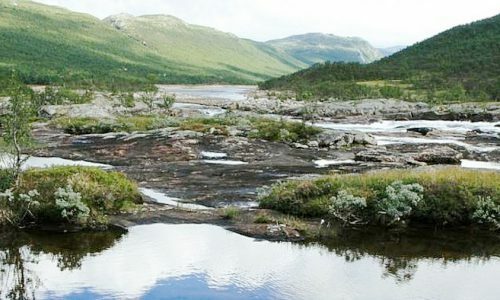 Continue along the trail across the ridge towards Lake Oksatjønn. Parts of the trail are gritted, and it eventually turns into a dry path. There is some marshland along the route with footbridges to keep your feet dry. 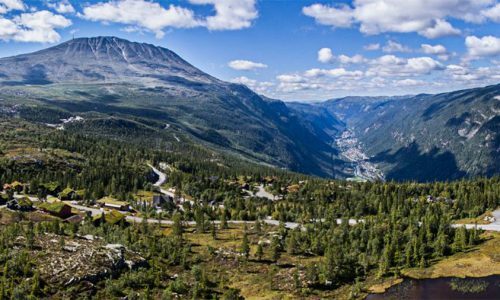 The route is clearly marked and can be extended by making a detour to Silkedalen (4 km).